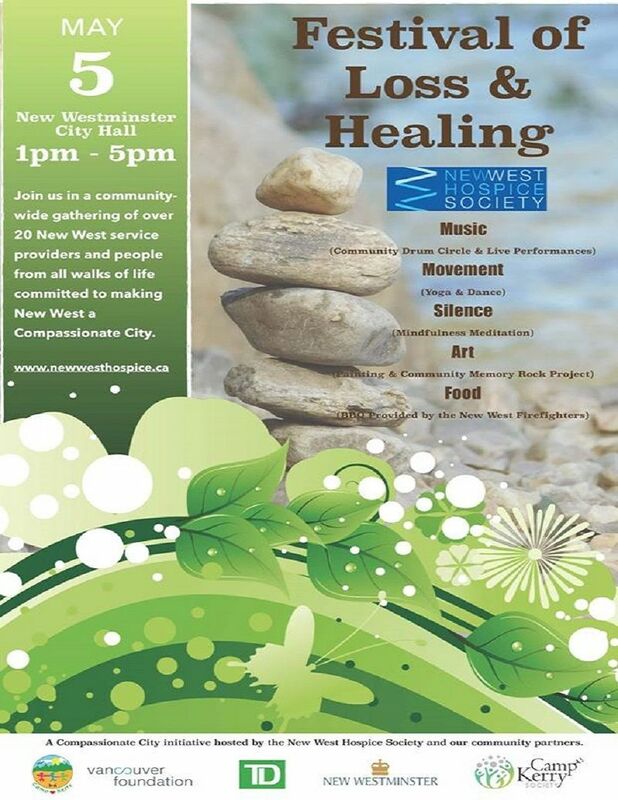 New West Hospice Society invites you to join us on the grounds of New Westminster City Hall on Saturday, May 5th from 1-5 pm for our first annual Festival of Loss and Healing. Over 25 community organizations will be there to share their particular experiences of grief and loss. Loss takes many forms – loss of youth, loss of country, loss of freedom, loss of family, loss of future plans and so on. We hope that sharing our stories will help us to discover that we are more similar than different and will continue the process of making New West a Compassionate City. Opening ceremony will be at 1:30 pm. Musical entertainment begins then as well.